We get a lot of calls and emails from people who are considering bamboo floors for their home and many of them have similar questions. 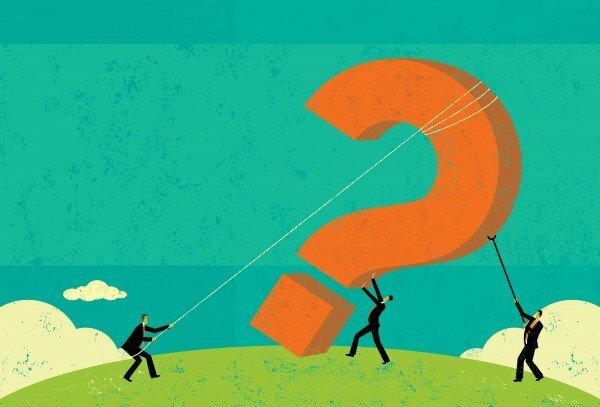 We thought we’d share those with you here in case you also have questions like if it’s right for your home and lifestyle. 1. Why is “carbonized” bamboo darker? Has it been stained? No. is darker not because it’s been stained, but because it’s been put through a special process of kiln-heating the raw bamboo. This process darkens the natural sugars found in the plant, giving the finished planks a darker color. This color goes all the way through the plank, just like natural bamboo. 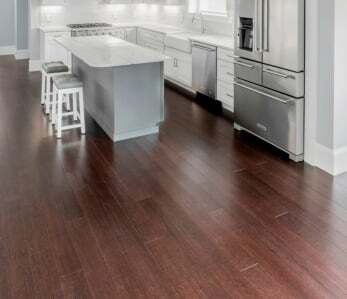 For classic bamboo floors (horizontal and vertical styles), the carbonized colors can be about 10% softer than the natural color, but the difference is negligible and all classic bamboo floors are only about 1/3rd the hardness of . 2. What’s the difference between “vertical”, “horizontal” and “strand” bamboo flooring? The difference between these 3 styles of bamboo flooring come down to 1) hardness differences and 2) difference in appearance. Bamboo stalks are hollow and the actual walls of the plant are rather thin. To make classic bamboo floors, these bamboo culms are cut into long rectangular strips of bamboo and they’re then laminated together. In “horizontal” floors, the strips are laid flat so the top surface of the individual planks show the classic bamboo “knuckling.” In “vertical” flooring the strips are actually turned on their side and laminated together in long, slender rows which creates a completely unique and beautiful pattern. 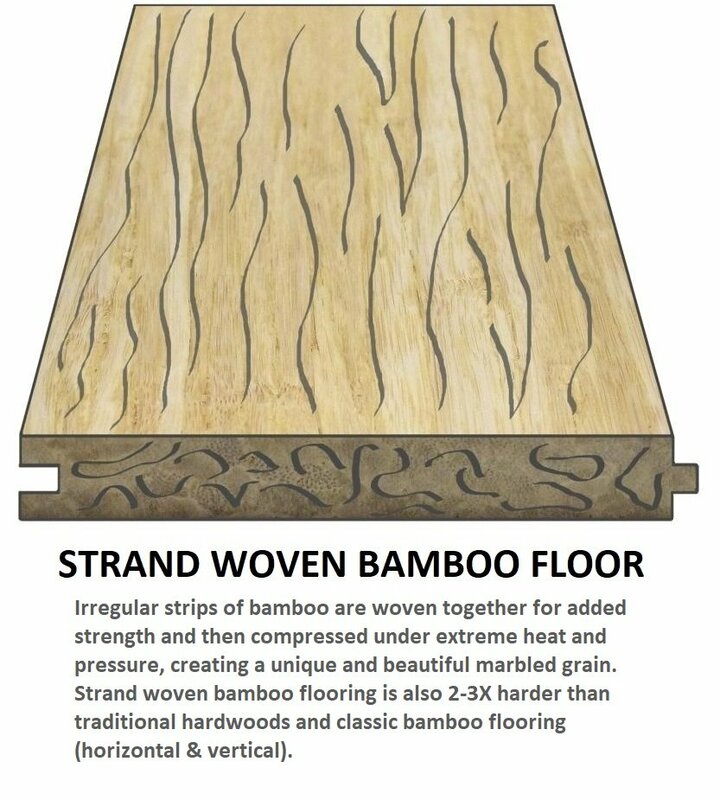 In “strand” bamboo flooring, the strips aren’t cut rectangularly, they’re cut at different lengths and thicknesses, then woven together, then fused in a high heat compressor to create that’s unique in wood flooring. 3. Can I float a bamboo floor? Yes, there are several types of floating bamboo floors available in the market, but first you’ll want to ensure for this type of flooring. At Ambient we offer glue-less click-lock planks which fit together and “snap” into place. This is an incredibly easy installation as no glue or nails are required, and usually can be done . 4. I live in an area that experiences high humidity often. Do bamboo floors hold up to humidity? Actually, bamboo holds up incredibly well to moist conditions (within reason, don’t dump buckets of water on your floor and let it sit there). In fact, our floors have been installed in humid climates all over the world in such places as Guam, Kenya, Hawaii and all across the Southern U.S., in fact our floors are installed in Dry Tortugas National Park off the coast of Miami, and many other locations across Florida. Because bamboo is actually a grass and NOT a hardwood, it tolerates moisture and well. That being said, you must follow NWFA guidelines regarding humidity levels inside the home. Mainly, as with any wood floor, you want to avoid swings of more than 20% in humidity throughout the year. Also be sure to allow your flooring to acclimate for at least 72 hours, laid flat on the floor in the room where it will be installed, with the boxes and interior plastic cut open. 5. 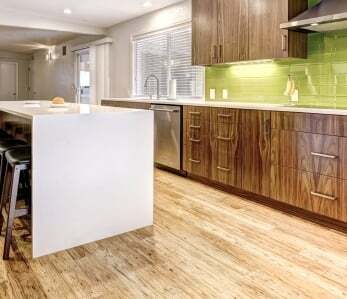 Can I install bamboo flooring in my kitchen? Absolutely! In fact, due to their hardness, strand bamboo floors are great for kitchens, which tend to be a high traffic area. Our floors have been installed in kitchens around the world, and also in restaurants, spas, yoga studios, university dorms & lecture halls, and many other high traffic locations. Additionally, with Ambient’s bamboo floors you get our super-tough , which provides 20 hour spill protection from puddles. 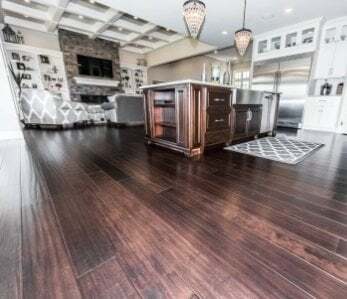 Finally, strand woven bamboo flooring doesn’t dent nearly as easily as traditional hardwood flooring, so it still looks great after years of use and rarely if ever needs to be refinished in a residential setting. 6. Can bamboo flooring be installed over concrete? Bamboo flooring can absolutely be glued down to concrete, just make sure you use an and it’s compatible trowel. You can also float bamboo flooring over concrete with a 3 in 1 underlayment pad. We have a complete guide of , check it out! 7. When I order my bamboo floors, how much extra should I order to allow for waste? We recommend that you add 10% for cutting and waste, but this can vary slightly depending on your skill level and the layout of your room. If you’re installing the flooring in a diagonal pattern, you’ll need to add 15%. 8. I’m confused by all the different moldings and how they should be used. There are 10 main that you may need to use depending on your particular installation. Quarter Round molding hides the expansion gap left between floor and wall during installation. T-moldings are used as a transition strip where the bamboo floor transitions to a floor of equal or similar height (within 1/8″). Stair Noses (aka bull nosing) cover the front edge of a stair tread or step and help you transition down onto a landing, lower level, or staircase. Stair Treads are used to cover the entire structural stair tread. Thresholds are used to transition to a surface that is more than 1/8″ higher or lower than the bamboo and is usually cut to fit, commonly used to transition to carpet and at doorways. Register vent grills are used to cover HVAC ducts and come in either flush mount (flat surface) or drop in (slightly lifted off the floor) designs. Baseboards are used to hide the expansion gap left between the floor and wall and often paired with quarter round. Bamboo Spline is used to switch directions when you’re laying planks. Bamboo Cove Molding is used under stairs and some stair nosings to provide a more finished look. 9. Can I install bamboo flooring in a bathroom? Bamboo flooring holds up well to moisture, so installing in your bathroom should not be a problem, however it is not warranted for use in full bathrooms because spillage from bathtubs can collect under hardwood flooring, causing a mold concern. As long as you’re careful with your water use and you have protective mats at bathtub and shower entrances your floors will perform just fine in a bathroom. 10. Is it true carbonized bamboo is softer than natural bamboo? Not exactly. 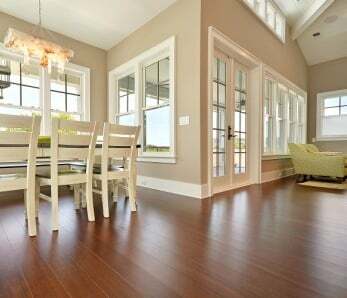 As we mentioned above, the process of carbonization only softens “Classic” bamboo flooring (Vertical or Horizontal), by a negligible amount. With strand woven bamboo flooring, the carbonized color is the same hardness as the natural color because the raw materials are compressed to the same density, so there is no real difference between carbonized and natural strand bamboo floors when it comes to hardness. 11. How do I maintain my bamboo flooring? Use doormats or rugs at entrances so you and guests can wipe dirt, sand, or grit off your shoes so it doesn’t get tracked inside where it can potentially damage your floors. Make sure to dry mop or vacuum with a soft accessory once a week (or as needed) to keep your bamboo floors free from dirt, sand and grit. For spills or messy spots, simply use a soft damp cloth and gently rub the area. From time to time you can use a generic hardwood floor cleaner or a , and avoid using harsh detergents, abrasive cleaners, or corrosive chemicals. Make sure to never use steel wool or anything abrasive to scrub your bamboo floors. Keep your pet’s nails trimmed and try not to walk on floors in high-heeled shoes. Apply felt pads to the bottom of all furniture, and only use only approved hardwood and to avoid damaging the floor. While most bamboo flooring has effective UV protection layering in its pre-finish, the great majority of bamboo and hardwood floors fade from sunlight and light exposure over time (there are a few woods, like Brazilian Cherry, that darken over time). For hardwoods you typically want to for long periods. in the summer or during certain hours of the day, or use UV protection films on your windows if parts of your floor are exposed to direct light frequently. And there you have them, the top questions we get asked about bamboo flooring. If we haven’t answered your question(s), please feel free to and we’d be glad to answer as many questions you have. Do I have to use T-moulding under each door threshod (no tile or carpet)? I’m covering approx. 875sqr feet. Can I get away without using the molding for a cleaner look? If you’re nailing or gluing down the floor there’s never a need for a t-molding at doorways. 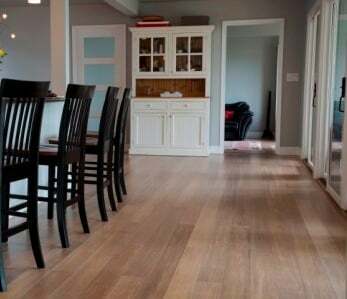 If you’re floating a floor, and your runs exceed 25 feet across the widths of the planks, you might want to consider it, unless you have very stable humidity in your home. Good luck with your installation!